The Law Office of David Kaplow, P.A. Stuart, Florida Criminal Defense Attorney, David Kaplow, proudly serves Stuart, Florida, Martin County, and St. Lucie County by providing aggressive and experienced criminal defense lawyer legal representation. Call (772) 221-2100 to speak with Attorney, David Kaplow about your Criminal Defense legal needs. If you were arrested for a misdemeanor or felony criminal offense in Stuart, Martin County or St. Lucie County, call David Kaplow at (772) 221-2100 for a free consultation. We will provide the aggressive representation needed to get your criminal charges either dropped, reduced, or seek probation instead of jail or prison time. When trial is necessary, every available resource will be used to defend your legal rights. David Kaplow has dedicated his law practice to ensure justice and due process to those individuals accused of, or arrested for a crime in Stuart, Florida, Martin County and St. Lucie County. Even before your arrest, law enforcement officers will gather evidence to be used against you in court. As an experienced attorney & lawyer, and as your legal counsel, he will examine all of the evidence the state will use against you, as well as, all evidence that supports your claim of innocence. You can be assured that David Kaplow will personally handle your entire case. In any criminal matter it is extremely important to seek experienced, honest and aggressive legal representation as soon as possible. To ensure your legal rights and freedoms are protected, all available legal resources will be utilized to give you the best opportunity to achieve the best outcome in your specific legal situation. Dealing with our criminal justice system can be disheartening and overwhelming. We understand the stress and confusion you may be experiencing having been charged with a criminal offense. David Kaplow is a lawyer who will take the time to listen to you and explain the process and what to expect. He will discuss the progress of your criminal case so that you will be kept well informed. Hiring an experienced local Stuart, Florida, Martin County, and St. Lucie County attorney & lawyer who knows the prosecutors and judges in the area is the first step towards achieving a positive resolution to your case. Our office is conveniently located near the Martin County Courthouse, and we can be contacted 7 days a week. As a law firm which provides professional criminal defense legal services, we are experienced, prepared, and well qualified to represent you in even the most difficult of legal challenges you may be facing. We are well versed in criminal law and know how to apply the law to your specific legal needs and goals. Call (772) 221-2100 to schedule a confidential legal consultation with Criminal Defense Attorney, David Kaplow. 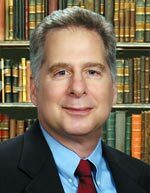 David Kaplow received his Bachelor of Arts degree from the State University of New York at Binghamton, his Master of Arts degree from the University of Chicago, and his Juris Doctor from Florida State University. For over a decade, David Kaplow has been practicing criminal defense law on the Treasure Coast. When he began his career as an Assistant Public Defender, David Kaplow successfully defended his clients with dedication and compassion. He was quickly promoted to handle major felony charges while serving as the head of the Misdemeanor Division in Martin County. David Kaplow has helped thousands of clients charged with both misdemeanors and felonies. He also has extensive experience representing clients in jury trials on charges ranging from misdemeanor offenses such as DUI, domestic battery and retail theft, to more serious felonies like drug sales, aggravated battery, sexual offenses, attempted murder and murder. Criminal Defense, DUI Defense, Traffic Defense Attorney legal services in Stuart, Florida, Martin County, Florida; Hobe Sound, Indiantown, Port Salerno, Jensen Beach, Palm City, Port St Lucie, Fort Pierce, St Lucie, St Lucie County Florida, and surrounding areas.